New Music at Darmstadt explores the rise and fall of the so-called 'Darmstadt School', through a wealth of primary sources and analytical commentary. Martin Iddon's book examines the creation of the Darmstadt New Music Courses and the slow development and subsequent collapse of the idea of the Darmstadt School, showing how participants in the West German new music scene, including Herbert Eimert and a range of journalistic commentators, created an image of a coherent entity, despite the very diverse range of compositional practices on display at the courses. 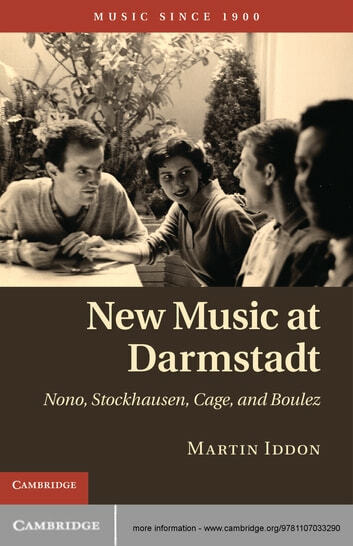 The book also explores the collapse of the seeming collegiality of the Darmstadt composers, which crystallised around the arrival there in 1958 of the most famous, and notorious, of all post-war composers, John Cage, an event Carl Dahlhaus opined 'swept across the European avant-garde like a natural disaster'.